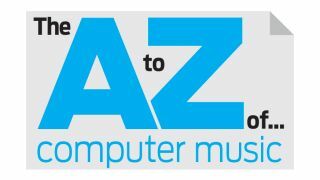 We break down a gaggle of G words in the latest instalment of our guru's glossary of geeky gear and digital gadgetry. When the level of a signal is raised, the process is referred to as increasing the gain. You'll find gain controls on all manner of music software, from the mixer in your DAW (push a channel fader above 0dB and you're increasing the gain) to the majority of effects plugins, the Gain Make-up control on a compressor being the most obvious example. Note that gain can also be negative, used to indicate a reduction in volume. When using multiple audio devices in a chain, the output of each connected to the input of the next, gain staging - the correct setting of gain controls and other settings through the chain - is an important consideration. Even though in the software-based studio noise isn't the issue it once was, when you hook up an instrument or microphone to an audio interface, particularly if you have a hardware compressor or EQ involved, you need to set your gains correctly to optimise the signal-to-noise ratio and ensure a not-too-high, not-too-low level. Gate is short for noise gate, a type of effect invented to combat background noise, hisses, rumbles, etc, in the parts of recordings that are supposed to be 'silent'. The simplest gates shut the signal down to silence unless it is louder than a certain level, called the threshold. The idea is that the gate will 'shut' during parts when the instrument is not playing, and it will 'open' again when the instrument plays, silencing background noise. Attack and release parameters determine how quickly the gate opens and closes. Some gates let you set a 'floor', so that instead of the signal being completely silenced, it will instead be reduced in volume. Gates can often be sidechained, either with internal filters (to cause the detection to respond only to a certain frequency range) or an external input. The latter is great for creative applications, eg, the rhythmic 'chopping up' of a pad sound using a gate sidechained to a hi-hat. The GM soundbank doesn't see much action today, as even the lowliest of soft synths and ROMplers leave it standing in every sense, but the MIDI CC numbers of the GM protocol are still totally relevant. Also known as portamento, activating the glide function on a synthesiser causes the pitch of one played note to smoothly slide up or down to the pitch of the next, as opposed to jumping from one discrete pitch to another. In the context of music production, glitch has at least three meanings: an electronic music genre, an unpleasant digital noise and a category of plugin. The first is self-explanatory; the second can be caused by things like missing a zero crossing when cutting a sample or a sample file being corrupted; and the third is any effects processor designed to chop up, rearrange and process its input signal in a jittery fashion, Illformed Glitch, Sugar Bytes Effectrix and Ableton Beat Repeat being three fine examples. While a parametric EQ enables you to apply cut and boost to a small number of adjustable frequencies, a graphic EQ divides the audible frequency spectrum up into a number of overlapping bands (between 3 and 30-odd) of fixed frequency and width. While this makes it a great option for music playback systems (both domestic and PA-driven,) where total precision isn't essential, it's not hugely suitable for music production beyond balancing out 'bumpy' frequency responses that would be difficult to flatten using a parametric. That said, there are some classic graphic EQs out there by the likes of Urei and API that are highly prized by mix engineers for their particular sounds. Graphical User Interface. The GUI is the visual front-end of any software application - the knobs, faders, tracks, clips, keys and buttons that you interact with on screen to make your DAW, virtual instruments and effects do their thing. The 'persona' of an application is largely driven by its GUI (think Ableton Live's abstract cleanliness or Reason's quasi-realistic studio clutter) and can even have a psychological effect on the way we perceive the sounds coming from it. For that reason, it's a good idea to check your mixes with the screen turned off at some point in your production process.